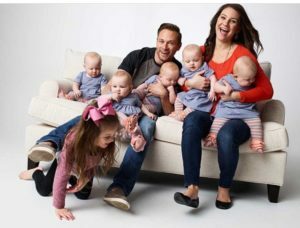 Danielle Busby may look like any other mom at the grocery store… that is until you see her with her 6 daughters, including a set of all-girl quintuplets! Danielle Busby and her family are the darling people behind the show “Outdaughtered” on TLC and today she’s going to share a little bit about her motherhood journey. 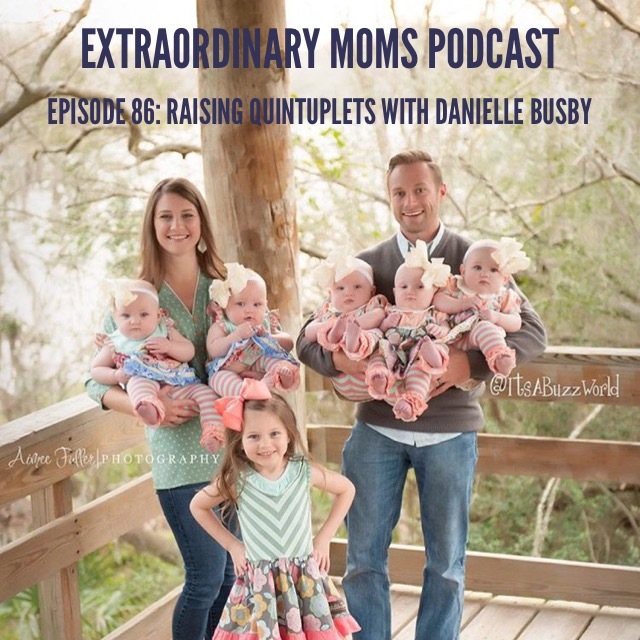 She reminisces about becoming a first-time mom to her daughter, Blayke, and then what it was like to find out she was pregnant with quints. We laugh a lot and also get very real about the best and hardest parts of motherhood. She is such a down to earth girl, it felt like we had been friends for a long time. She truly is an extraordinary mom! You’re going to love my conversation with Danielle. 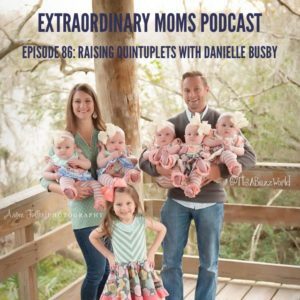 2 Responses to "Episode 86: Raising Quintuplets with Danielle Busby"
Im Deaf single older lady… Im suprirsed that Hazel is only one has the red head.. whose side of family has red head that run into Hazel DNA? I am the mother of 3 grown children and grandmother of 11 and have enjoyed every minute of their lives, especially when they were babies and toddlers. I sure would love to live close to you so I could help out when needed. Your children are beautiful, and I am truly amazed at how calm and organized you are, although it may not seem like that to you. You are truly blessed.